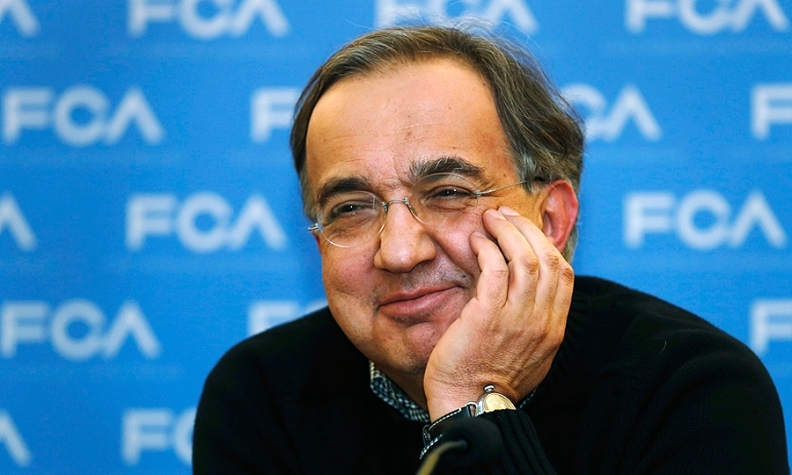 Marchionne: 'We will do stuff everywhere." DETROIT -- The headquarters of the newly merged Fiat Chrysler Automobiles will be moved to London, CEO Sergio Marchionne clarified on Thursday, cementing a politically sensitive shift away from Italy, Fiat's home for the past 115 years. Fiat's home is currently in Turin, Italy, while Chrysler is headquartered in Auburn Hills, outside of Detroit. "Headquarters will be in London," he told journalists during a press conference at Chrysler's headquarters. "It's clear that group executive functions, the board, my office, some of my functions, need to operate out of London, but that doesn't mean that I'm giving up my operational responsibilities of the U.S. We will be multi-faceted ... we will do stuff everywhere." In January, Fiat sealed a $4.35 billion deal to take full control of Chrysler, creating the world's seventh-largest auto group. The group said at the time that FCA would have its primary listing in New York, with a secondary listing in Milan, and that the holding group would be registered in the Netherlands and have its tax domicile in Britain. Unions and politicians in Italy have been concerned about any potential job cuts as a result of the move of headquarters, but Marchionne has repeatedly said the merger would have no impact on jobs in Italy or elsewhere. Choosing London as a headquarters makes sense for several reasons, said John Wolkonowicz, an independent auto analyst. London is a financial capital and centrally located among Fiat Chrysler’s far-flung operations. It also avoids the baggage of choosing either Fiat’s hometown of Turin, Italy, or Michigan, he said. Marchionne also said investors overreacted when they sold Fiat Chrysler shares after the carmaker's presentation of an ambitious five-year plan. The company's shares fell almost 12 percent on Wednesday as analysts questioned whether Marchionne would manage to multiply sales, raise profit and slash debt, while investing 48 billion euros ($67 billion) in a global expansion led by the Jeep, Alfa Romeo and Maserati brands - and without divestments or a share issue. Earlier on Thursday, the company said that Marchionne bought 130,000 Fiat shares and Chairman John Elkann 133,000, in a show of support of their ambitious turnaround plan. Marchionne reiterated on Thursday that any decision on raising capital would be made by the board after FCA is listed in New York, currently planned for the last quarter of this year.